Nancy J. Troy is professor of art history at the University of Southern California in Los Angeles. Just as the study of Seurat’s drawings prompted Herbert to look carefully at Millet’s drawings and other work in articles and exhibitions of the 1960s and 1970s, so Seurat’s paintings eventually led him to the work of Fernand Léger, whom he considers to be Seurat’s descendant and a great practitioner of the craft of painting. 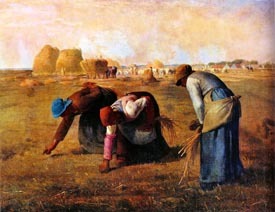 Thus although Herbert’s scholarly reputation is bound to his work on nineteenth-century French painters—he has written books on Monet and Renoir, a survey devoted to the leisure subjects of the Impressionists, as well as the publications mentioned above on Seurat, Millet, and the Barbizon School—he has also produced significant scholarship on early-twentieth-century modernism. His first contribution to that field was an edited volume of ten essays, Modern Artists on Art, published in 1964. This was followed twenty years later by a detailed study of the large, diverse collection of European and American modernist art from the Société Anonyme that Katherine Dreier had bequeathed to Yale at midcentury and that Herbert had explored for many years together with his students. 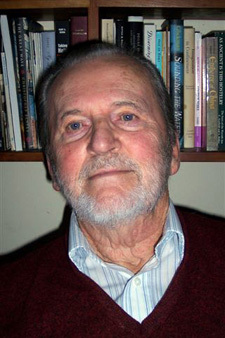 Along the way, Herbert developed research he had undertaken as a graduate student into a book, published in 1972, on David’s Brutus and its political significance in the context of the French Revolution; his commitment to the social history of art was also evident in a volume of selected art criticism by John Ruskin that Herbert edited in 1964 and for which he wrote an eloquent introduction that provided a thoroughgoing reevaluation of Ruskin’s significance from a variety of perspectives, demonstrating his acute relevance to the social history of art that Herbert was in the process of articulating at the time. It is impossible to summarize Herbert’s contributions to art history simply in terms of his scholarly production, impressive as that output has been. He has also been an inspiring teacher of undergraduate and graduate students, setting an example in countless ways that go well beyond his commitment to scrutinizing original works of art alongside archival resources of the most diverse kinds. In addition to imparting these indispensable staples of the trade, he has maintained an extraordinary level of personal and professional engagement with his students, loyally supporting their ambitions and celebrating their achievements, whether large or small. Refusing to be impressed by conventional measures of status, in 1990 he acted on his commitment to feminism by relinquishing his position at Yale in order to join his wife, Eugenia Herbert—whom he has always described as his greatest intellectual companion—on the faculty of Mount Holyoke College. 1. All quotes come from Herbert’s publications over the years and from an unpublished statement to the author.